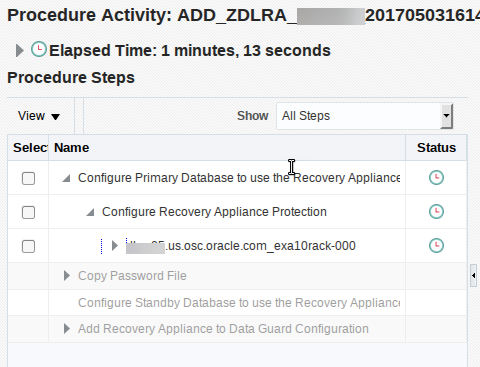 Oracle ZDLRA or Zero Data loss Recovery Appliance allows for transporting redo from the protected database and stores it securely inside the Recovery Appliance. This allows for near zero Recovery Point Objectives to be met. Setting up Real time redo Transport involves setting up a wallet and redo_transport_user parameter to the virtual private catalog user as well as definition and archive log destination that points to the Recovery Appliance . This allows redo to be shipped to the Appliance and Stored for future restores and recoveries. If the Database Environment does not have an associated Standby , this procedure is very simple and Enterprise manager can handle the setup or it can be done easily via command line as described here in the documentation. Since we are changing the redo_transport_user , this brings in some interesting considerations for standby databases. The Default Behavior for redo shipping to a standby database uses sys as the user that is used for transport and apply unless there is a value in redo_transport_user. The REDO_TRANSPORT_USER database initialization parameter can be used to select a different user password for redo transport authentication by setting this parameter to the name of any user who has been granted the SYSOPER privilege. This User will need to be created in the protected database and needs to be exactly the same as the Virtual Private Catalog user that has been created on the Recovery Appliance Catalog. 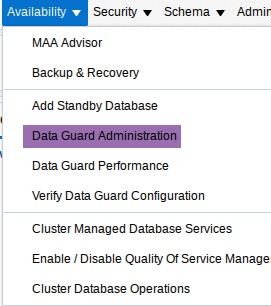 The procedure to setup a protected database that is a part of a dataguard configuration is detailed in the Whitepaper here. The End result will be the Protected Database as well as the Standby Database configured along with the Recovery Appliance. The Enterprise Manager team is hard at working on developing new features and hopefully this new feature will allow for easier and faster configurations of Protected Databases that also have a standby associated with them.